I just wanted to share a little story with you to explain the idiom “It’s a small world”. Last year I was featured in a guide book. The guide was written for Japanese people who intend to visit Vancouver. The feature shows how I do a couple of Yoga poses at Open Door Yoga where I teach. Much to my surprise she had seen me in the guide book while she was in Japan visiting her family. The idiom “It’s a small world” is an expression to show our surprise at how seemingly unconnected people and places are indeed connected. 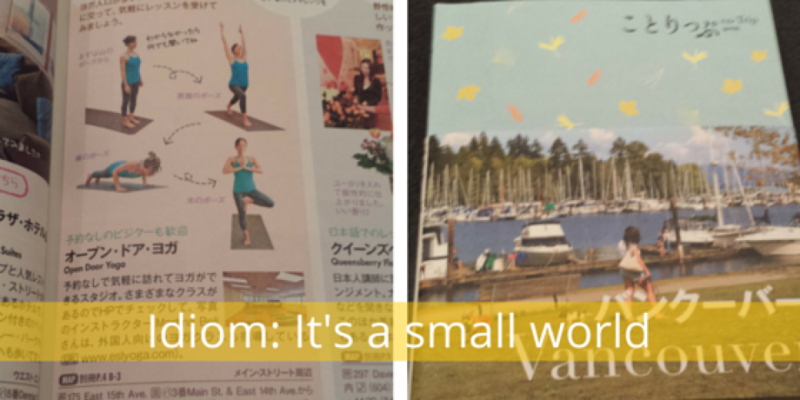 I would have never expected anybody to recognize me in Vancouver from a picture in a Japanese guidebook! Have you ever experienced something like this? Have you ever met a friend or relative in an unlikely place? 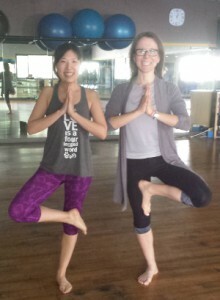 Post your story to the ESL Yoga Facebook page.